The ELM-1 is the essential 100v line loudspeaker checking system for the professional PA installer or service engineer, determining the precise amount of speaker loading being presented to 100v line amplifiers on a PA System. 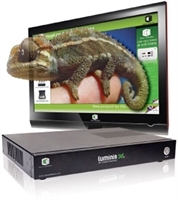 • Luminis AiO: All-in-One Digital Signage Clever Little Box’s latest generation Luminis AiO is the all-in-one solution for creating and running your own unique on-screen digital channel for enhancing communications and delivering eye-catching information. Using the same Windows-based digital signage platform as our 2D ‘Luminis AiO’, Luminis 3D combines all the functionality and ease of use of ‘standard’ digital signage with state-of-the-art lenticular screen technology, to provide what are the most truly ‘outstanding’ signage results you can imagine!! 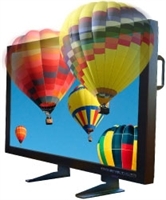 The new Enabl3D range from Magnetic represents the cutting edge of ‘glasses-free’ 3D screen technology. The TPG-5 device holds 5 factory-set/embedded alarms and tones which can be used in schools, factories and retail sectors for class change, shift start & stop or security signalling purposes. 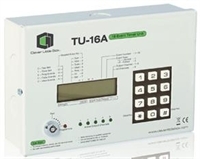 The TU-16A is a versatile timer used to provide control of external equipment such as the TPG-5 and LB-5A units for schools, factories and retail sectors for signal class change, shift start & stop or security warning/announcement purposes. 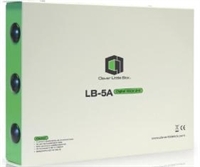 This latest generation of the Clever Little Box incorporates the latest MP3 technology to store and replay recorded voice messages, music or tones for security/safety, retail, museum/leisure and advertising applications. 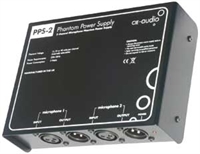 The PPS-2 is a mains-operated microphone phantom voltage power supply designed to power electret-type microphones via the signal cable. 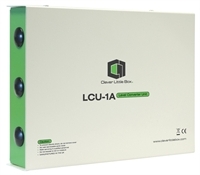 This versatile interface is designed to convert a high impedance 100v loudspeaker signal to either a balanced variable line level or microphone level signal.